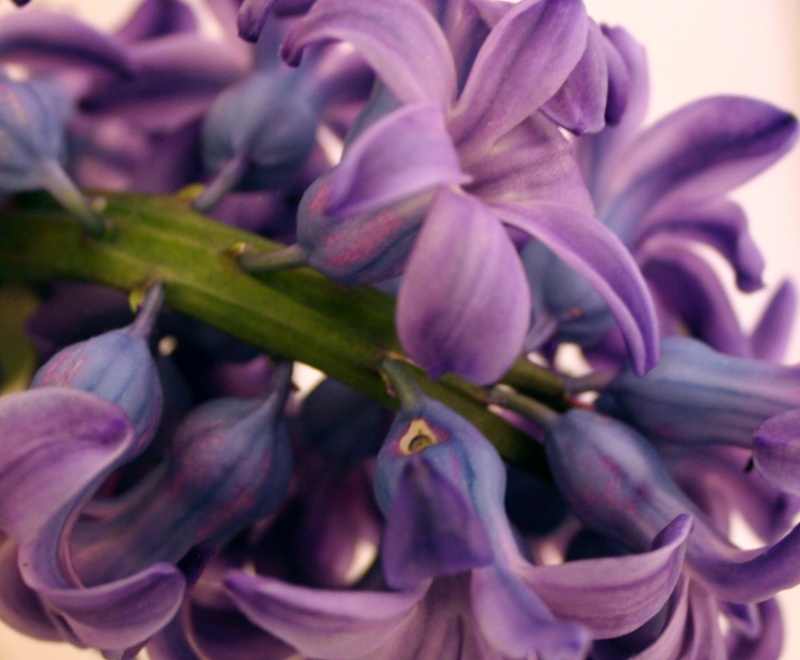 This morning before I left for work I snapped a couple photos of my one and only large hyacinth. The poor thing fell over outside, so I cut it and put it in a vase. Now it is fading and I will soon have to toss it. 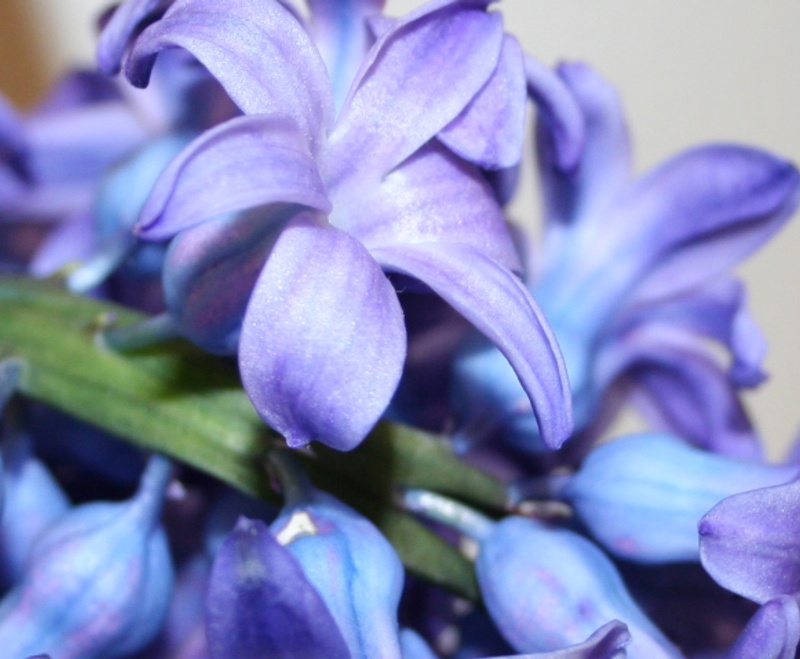 It is a beautiful plant and makes me think I should eat my words (I don’t really like hyacinths). I took this photo with the flash on. The blues! This was taken with natural lighting, no flash. The blues are still stunning, especially against the purple. I am just amazed by the color. I just have to stop and look at it, breathe it in, enjoy it, and appreciate it. I think you have to do that. Stop and look now and then, breathe it in, and let its beauty hold you.